Phone cases are a personal decision, and finding one that matches your taste and style can often be a difficult task. If unique is what you’re after, Cell Junkie offers specialized phone cases with beautiful artwork on them that stands out from the others at reasonable prices. Let’s take a look at their latest offerings for the iPhone. Combining imagery with protection, these form-fitting hard plastic cases are printed using exclusive photography. Comfortable to hold, these lightweight and durable cases allow access to all sensors, ports, and controls on your iPhone. Compatible with Verizon, Sprint, and AT&T models of the iPhone 4/4S, these cases will fit your device regardless of carrier. With a device like the iPhone, the thin footprint of the phone is something you want to maintain. Yet the glass front and back are susceptible to scratches, drops and other accidents if not protected. The Cell Junkie cases feature a two piece snap-on style that reduces bulk, and covers the most susceptible areas for damage well. Overall, the cases offered by Cell Junkie are great options for those looking to have their phone stand out from the crowd, while adding a minimal amount of weight and bulk to the device. 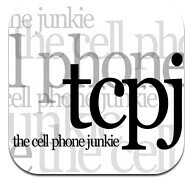 More information is available at Cell Junkie.com.